Since students have access to all kinds of energy drinks on campus, recent data shows a decline in the students’ performance at Vermont’s Middlebury College. It was announced this week that the campus would stop selling energy drinks on March 7 due to students’ complaints. The issue was brought to the Community Council meeting by intern Myles Kamisher-Koch backed up with a scientific research regarding health issues and risky behavior caused by energy drinks. The debate on whether the drinks should be banned from the campus facility or not began as far back as January 19, according to the student newspaper. Middlebury College’s Dining Service mission statement would contradict itself if the campus allows the purchase of energy drinks, says Kamisher-Koch. “Nourish and nurture today and tomorrow by sustaining mind, body and earth,” reads Kamisher-Koch from the Dining Service mission statement. 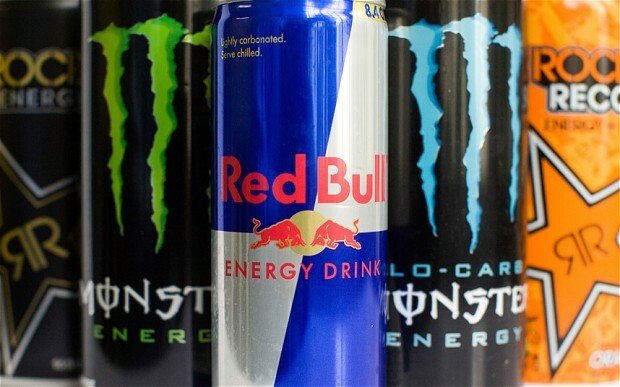 In a meeting of administrators, she argued that beverages like Red Bull, Monster, and 5-hour energy promote students’ stress and encourages bad academic habit. However, students’ bad academic habits have been present long before energy drinks came to the scene, so it’s the campus decision to ban energy drinks could be debatable. The main reason students use these sort of beverages is to increase their performance after a long day of schoolwork, as well as before a long lecture or study session. Still, as young people often do, students also use it to party and mix with alcoholic beverages. The executive director of dining hall services Dan Detora said to the NBC that energy drinks could have potentially serious health consequences. Although there’s no correlation between energy drinks and bad academic performance, it’s a well-known fact that too much of anything can’t be good for anyone. Beverages such as Red Bull contain a caffeine content of 80 milligrams for each of its 8.4-ounce cans, as well as other additives. So it appears that banning the purchase of energy drinks on campus could help students who regularly drink these beverages to reduce its consumption. Furthermore, the drinks have been linked to risky behavior such as alcohol abuse and high-risk sexual activity. It’s worth observing that as the studies show a link to risky behavior, there’s little evidence of people actually engaging in high-risk situations. Yet it remains to be seen if students drawn to risky behavior are also drawn to energy boosting drinks. Many students at Vermont’s Middlebury College expressed their concerns on the matter as plenty of students had proposed similar ideas in the past. Nevertheless, the main factor to address on banning energy drinks from Middlebury College’s campus is students’ health. Just one 16-ounce energy drink can increase blood pressure and stress hormones, putting healthy young adults in jeopardy for heart damage, according to a study from the Mayo Clinic in 2015.